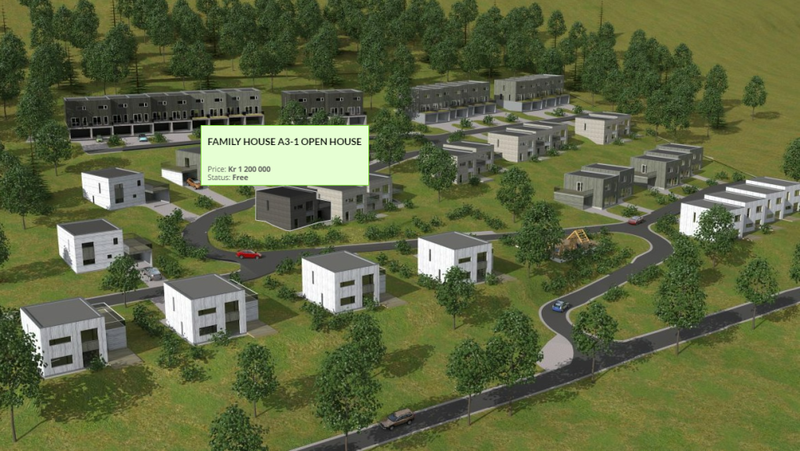 Software for Real Estate Developers, building new developments or selling plots/land. The system can be used world wide and available in several languages. The price is the Mini version with house-selector and CRM. Sales and marketing tool for Real Estate Developers, with House-Selector and back-end CRM. Very user friendly software, intuitive and simple. Pros: I like the intuitive nature of this software, leaving it very easy to grasp for the beginner. Yet as you begin to get more experienced with the software, the extra features that you learn about and use are easy to find and understand and apply, such as the common line cutting and group nesting. The nesting task can be simply and effectively shown to low level users, yet the more advanced users can quickly upscale to use the host of extra features to streamline the cutting processes. Cons: Sometimes, as with all software it can sometimes glitch out at the worst possible moment. Murphy's law dictates that this would happen at the worst possible moment, usually when you have a very large set of nests completed, yet not saved. This can be frustrating and time consuming. An auto save function or a crash recovery function would be advantageous. Overall: It is a very user friendly, intuitive piece of software. After an initial setup, with a few easy steps you can be up and running and nesting parts for optimised cutting surprisingly quickly. Efficient and intuitive nesting software. Pros: This software is very east to pick up. I work in a custom fabrication shop and I have no design experience at all but I was easily able to pick up this software and nest parts for the guys on the floor in the same amount of time our lead designer can. This software really thinks for you and does all the leg work once you set it up. Cons: The interface and overall look is a tad outdated and could be polished a little more. Might be able to group together certain functions that are related instead of laying it all out and looking a little jumbled and overwhelming. It's also not preloaded with specialty materials you may need and you have to enter that all on your own based on what equipment you have. This might be something that could be looked in to. Overall: It has made our shop much more efficient and saves us lots of money due to not wasting precious material. It is able to be used on multiple machines that require totally different processes. Overall we are very happy with ProNest and how it has benefited our company.